This project was initiated by artists Carlina Chen (Canada) and Hsieh, Chi-Chang (Taiwan), who share a mutual interest in the intersection of poetry and the visual arts and the fostering of a cultural conversation. In the fall of 2016, one poem from each of three Canadian poets, Anne Carson, Patrick Lane and Claire Caldwell, was selected; and three works were chosen from two contemporary Taiwanese poets, Yu, Kwang-Chung and Wang, Feng-Hsiang. The exhibition features work on paper by 21 Canadian artists and 21 Taiwanese artists and one Canadian performance artist. The Cheng Yu Tung East Asian Library will host the first Canadian exhibition. There will be a poetry reading by Claire Caldwell and remarks. Please RSVP via https://lineverse.eventbrite.ca by November 7th, 2018. Curated by Seika Boye, PhD, this exhibition illuminates the largely undocumented dance history of Canada’s Black population before 1970. Featured are individual dance artists such as Leonard Gibson, Ola Skanks, Ethel Bruneau, Joey Hollingsworth and Kathryn Brown. The exhibit exposes the representation of Blackness on Canadian stages, as well as audience and media reception of Black performance in Canada during this era. It’s About Time explores legislation of leisure culture, dance lessons and the role of social dances at mid-century. In this talk, Gabrielle Moser discusses her current research project that analyzes how racialized subjects pictured themselves as citizens around 1947, the date that Canada’s first citizenship laws were enacted. 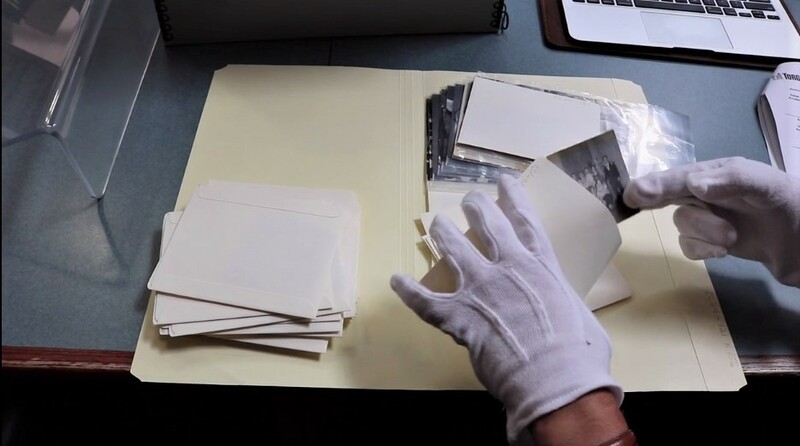 Through extensive research in local and state archives, this project aims to analyze how viewers recognize citizens through modes of photographic self-presentation. Gabrielle Moser is a writer, educator and independent curator. Her writing appears in venues including Artforum.com, Canadian Art, Journal of Visual Culture, Photography & Culture, and Prefix Photo. Moser has held fellowships at the Paul Mellon Centre for the Study of British Art, the Ryerson Image Centre, the University of British Columbia and was a Fulbright Visiting Scholar at Brown University in 2017. She holds a PhD from the art history and visual culture program at York University in Toronto, Canada and is an Assistant Professor in art history at OCAD University. Research Rendezvous is a series for faculty and students to share and learn about research at OCAD U. Light refreshments will be available. Policy Horizons Canada commissioned a series of short videos on the subject "What is Foresight?" that have been conceived, authored and co-produced by Strategic Innovation Lab (sLab), together with students from OCAD University's Strategic Foresight & Innovation (SFI) and Graphic Design programs. Produced in English and French versions, and fully captioned for inclusive accessibility (AODA-compliant), the work is co-directed by sLab's Director of Research, Greg Van Alstyne and SFI graduate, Zan Chandler. The production team is rounded out by OCAD U undergrad research assistants Alex Appugliesi and Jazeen Hollings, who developed original visual sequences and edited the video. The video is composed in the form of three short segments approximately 2-1/2 minutes each which may be viewed back to back or separately. For more information, please visit http://slab.ocadu.ca/project/what-is-foresight-video-series. "In the face of intensified urbanization worldwide, what do we see as the highest impact social and human challenges for Southern Ontario, now through 2030?" Southern Ontario is witnessing increasing urbanization, and with it a host of changes, challenges and opportunities. For example, younger people are known as early adopters of new technologies, yet older people are experiencing technologies and their consequences in surprising ways. By 2050, we expect a third of Canadians to be older than 65. What kinds of services, societies, and care do we envision to support our communities in the face of these changes? In an unprecedented study, Canada's research council for social science and humanities, SSHRC, has commissioned six regional panels to understand and imagine possible futures for the country in a global context. Strategic Innovation Lab (sLab) at OCADUniversity is leading University of Ontario Institute of Technology (UOIT), Ryerson, Windsor and York universities and our combined intellectual communities. sLab's participatory action research engages a diverse panel of academics, professionals, and students for a Co-laboratory workshop organized and facilitated according to principles of the Structured Dialogic Design methodology. Dialogic Design is a multi-technique methodology based on human and computer-facilitated structuring of inquiry for a complex social or civic concern. Democratic by design, SDD produces strong consensus while avoiding cognitive biases, by adopting a series of language structures that conserve participant autonomy, authenticity, and shared commitment while mitigating group cognitive bias, power bias, and content complexity. The OCAD U-led project centred on an Expert Panel structured as a Dialogic Design (DD) Co-Laboratory to gather primary data, together with an Online Survey, a Public Workshop, and documentation of these activities on the Web. do we anticipate for Southern Ontario, now through 2030? A follow up survey, and a public Design with Dialogue session correlated and expanded on the Expert Panel workshop findings. In naming and assessing the influence of these future challenges, the expert panel considered both increasing urbanization globally and in Southern Ontario. Though urbanization trends will be most apparent in Canada’s large cities, all cities and communities will be affected by the transitions represented by the challenges. For more information, please visit http://slab.ocadu.ca/project/sshrc-imagining-canadas-future-dd-co-lab. Produced by the CBC and The Walrus Talks, youth leaders delve deep into what makes Canada... Canada. Join Dr. Gabrielle Moser, in episode 11, as she imagines a series of photographs of Viola Desmond that never existed. CBC’s new ten-part docu-drama series, CANADA: The STORY OF US, highlights extraordinary moments in Canada’s history and people that helped forge a nation, from early Indigenous history to the 20th century. The series was produced under the guidance of historians and academic consultants, including OCAD University’s Indigenous Scholar, Dr. Gerald McMaster, who served as one of the primary consultants. Ground-breaking curator, author, artist and educator, Dr. McMaster is Canada Research Chair in Indigenous Visual Culture & Curatorial Practice at OCAD U.
CANADA: THE STORY OF US takes viewers inside Canada’s history with dramatic re-enactments, ground-breaking CGI sequences and documentary-style virtual reality experiences. The series features the stories of Indigenous peoples, women, immigrants, pioneers, rule-breakers, scientists and entrepreneurs – many of them untold until now. The series highlights key moments spanning centuries of history beginning with Indigenous nations in the pre-contact era to 1608 with the arrival of explorer Samuel de Champlain in “Worlds Collide,” to the introduction of the sea otter trade by Mowachaht leader and statesman Chief Maquinna in “Hunting Treasure” (1778-1802), to “Boom Bust” (1911-1937) with populations exploding in urban centres, concluding with the creation of Nunavut in “Canadian Experiment” (1970-1999). Each week, during the run of the series, in partnership with Ancestry.ca, the world’s largest online family history resource and an integrated sponsor of CANADA: THE STORY OF US, CBC will air a short vignette featuring a Canadian celebrity from the series, including Susan Aglukark, Wendy Crewson, Sarah Gadon, Mike Holmes, Missy Peregrym, Jennifer Podemski and Mary Walsh, who will discover something new and surprising about their own family histories. CANADA: THE STORY OF US will also be brought to life online through a trio of immersive, 360-degree videos that will put viewers inside key moments in Canadian history. Through these interactive vignettes, viewers will be transported into the lives of Chief Maquinna; Laura Secord; and Richard Rettie and W.C. Wilkinson – two Canadian scientists who led a team to decode the Nazi Smart Bomb. Produced by Secret Location, all three 360 videos feature ambisonic sound to further immerse viewers in the scene. The videos will be available at cbc.ca/canadathestoryofus and on Facebook for viewing on desktop, mobile and tablet devices. This course frames a critical context that marks a multifaceted dialogue about land and the occasion of 150 years of Canada, pointing to futures and to much longer histories. Students will engage in conversation with curator Tania Willard and artists, Camille Turner and Cheryl L’Hirondelle, resulting in the installation of public artworks in Parks Canada sites and in an online platform. That’s how much creators — artists, designers and the traditionally recognized arts and cultural industries of new media, broadcasting, film, publishing and music — contribute to Canada’s economy every year. It’s a lot of wealth. With the right amount of nurturing and the support of public policy, our creators can engage new knowledge and invention across a wide range of disciplines. Join Canada’s university presidents — as well as leading figures from the cultural, private and public sectors — in exploring how culture is key to the nation’s innovation agenda and economic success. Monday, December 8, 7:30 p.m. to 9:00 p.m.
Tuesday, December 9, 9:00 a.m. to 11:00 a.m. These lectures are presented as part of the Canadian University Presidents’ Initiative in Cultural Sector Education and Research.